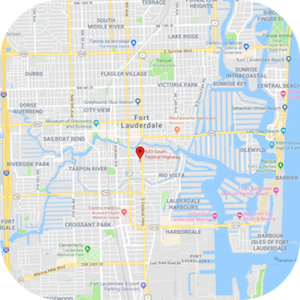 JANUARY 14, 2019. In early December, final testing was carried out to see how the system would work in a live environment on the Ciudad de Ibiza with a full passenger quota. Juan Manuel Caballero, CIO and CTO of Trasmediterranea, and Edurne Amestoy, Head of Onboard, spent 4 days in mid December at the Carus headquarters in Mariehamn, Aland, meeting with the Carus team to carefully plan the rollout of the solution across Trasmediterranea's entire fleet following the successful live pilot. 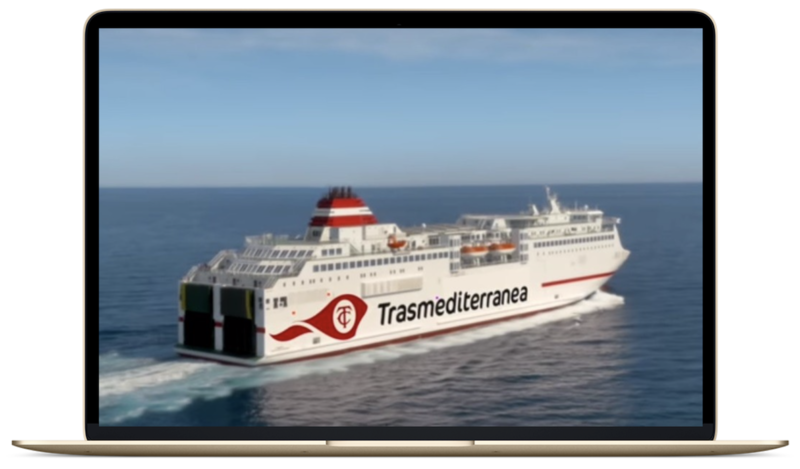 As a result we are now able to say that Transmediterranea has arguably the best and most reliable ePoS and onboard sales solution in the world for the passenger ferry sector. Juan Manuel Caballero, CIO and CTO of Trasmediterranea, said: “We have put our knowledge and experience into building the best in class Hotel Management System for ferry and cruise in the market. 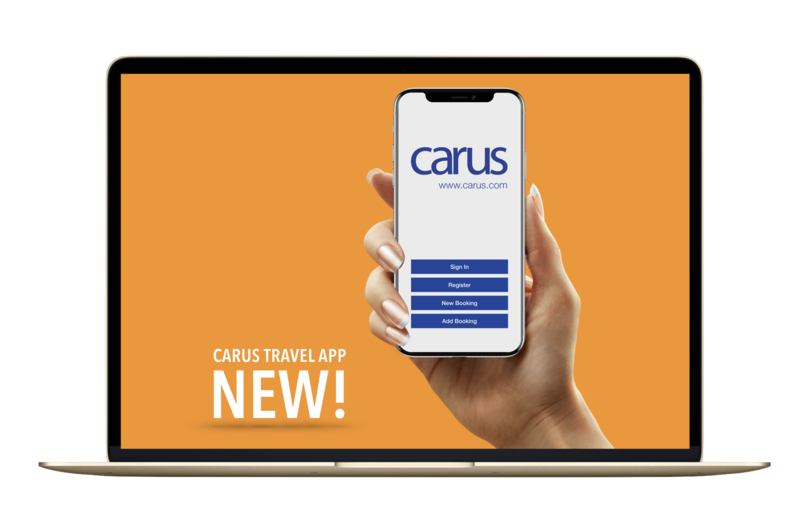 This has been more than one year working with CARUS in order to have a smart POS and Hotel Management system that can cover the full passengertravel experience. CARUS POS allows us to manage our passengers’ needs from a 360oview”. John Bertell, Sales Director for Carus, added: "Not every ePoS solution can be applied to a ferry environment. We have to consider the variations in taxation, currencies and legal requirements of an off-shore operation as well as the limitations in network connectivity, and latency and the stress on hardware caused by variations in electrical currents and vibrations. We are very happy to say that our solution has proved to be extremely robust and ferry-savvy”. Jose Rodriguez, Carus Spain Representative, affirms, "It is an honor, after so much effort, to work with the largest ferry group in Spain on this project. We are more than excited to continue seeing our product being rolled out across the whole fleet”. For his part, Anders Rundberg CEO of Carus, said “It is always exciting to see the solutionthat we have worked so hard to develop come to practical use, to see how it can increase the efficiency and the customer services onboard, and at the same time give the operator full control over their onboard operation from the shore office”. He ends by saying: "I am especially happy to hear the feedback from the crew, the end users for whom this will become their everyday work tool. It is really satisfying to hear how much they appreciate the new solution”. Carus are totally focused on the passenger shipping industry providing advanced reservations and departure control solutions that are constantly evolving to meet the ever- changing operational demands of our clients. 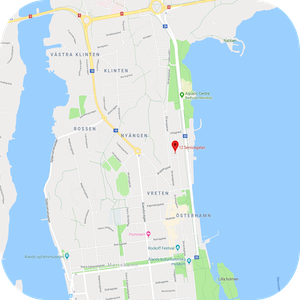 For over a decade Carus have been serving a growing client base which includes operators throughout the Baltics, mainland Europe, the United Kingdom, the United States, Africa and Australia. Carus clients cover every aspect of the passenger vessel industry and operate virtually every type of vessel proving the versatility and flexibility of CarRes. The Carus systems are tried and tested solutions that provide the 24/7 reliability required of mission critical applications especially when delivered via our managed services. 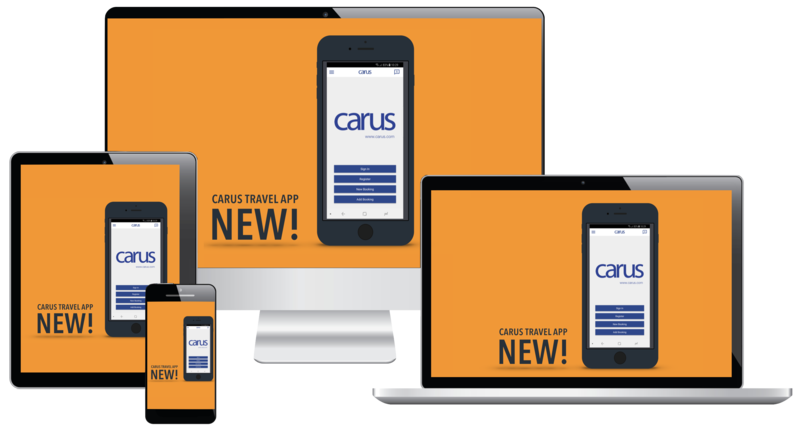 Carus Reservation is an integrated system designed specifically for passenger vessel operators providing all aspects of booking, ticketing and port processing coupled with a full back office suite covering the marketing, accounting and administration functions. It is modular and highly configurable and has been designed from the outset to meet the diversity of operational models present within the industry: from passenger-only fast ferry services through to conventional operations catering for passenger and freight vehicles, as well as those operators offering on-board accommodation. Trasmediterranea is the first Spanish shipping company and, since 1917, connects the main ports of the peninsula with the Balearic Islands, Canary Islands, Ceuta, Melilla, Algeria and Morocco. It currently manages around 20 ships (ferries, high speed and cargo ships) in 40 routes and has its own terminals and maritime stations in Barcelona, Valencia, Las Palmas de Gran Canaria and Cádiz. From 2002 to 2018, its main shareholder was Acciona, and in 2018 Acciona’s shares were transferred to the Naviera Armas Group, becoming its majority shareholder.